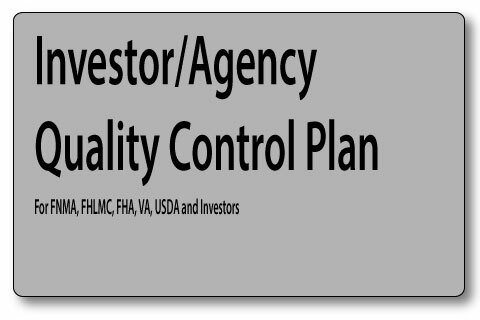 This plan includes every element required by most investors, secondary market entities or regulators to be part of a quality control program. This product has evolved into two separate modules - a Quality Control Plan and a Compliance Plan. Because the laws are changing so rapidly, we found it was easier to keep the compliance module separate from the Quality Control Plan for updating purposes. Conventional, FHA, FNMA, FHLMC, USDA, VA standards - where any requirement exceeds industry requirements, it is included "in-line"